Red beans actually has the ability to cope with various diseases, among them capable of reducing damage to blood vessels, capable of lowering blood cholesterol levels, reduce blood sugar concentration, and reduce the risk of colon cancer and breast cancer. 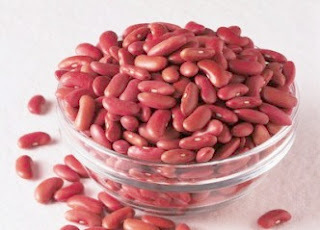 Nutrient content of red beans are very good for the health of the human body. Dry beans are a source of vegetable protein, complex carbohydrates, fiber, vitamin B, folasin, thiamine, calcium, phosphorus, and iron. Folasin are essential nutrients that can reduce the risk of damage to blood vessels. Red beans contain fat and sodium is very low, almost free of saturated fat, and free cholesterol. In addition, red beans is also a good source of fiber. In 100 grams of dried red beans, can produce 4 grams of fiber consisting of a water soluble fiber and insoluble fiber water. Water-soluble fiber can significantly lower cholesterol and blood sugar levels. To get the perfect properties of red beans, there are some things that need to be done in the process. After soaking, remove red bean soaking water. Then boil the red beans in a covered pan for 3 minutes, and let stand for 2 hours so the juices settle. Change the soaking water is boiled it with water, and let stand overnight. The next day, red beans ready to be cooked into a delicious meal. This needs to be done to eliminate the ability of red beans to produce gas in the intestines that would make the stomach feel bloated.